If you have just come from @worthingcourtblog WELCOME! Suzy's home is gorgeous! 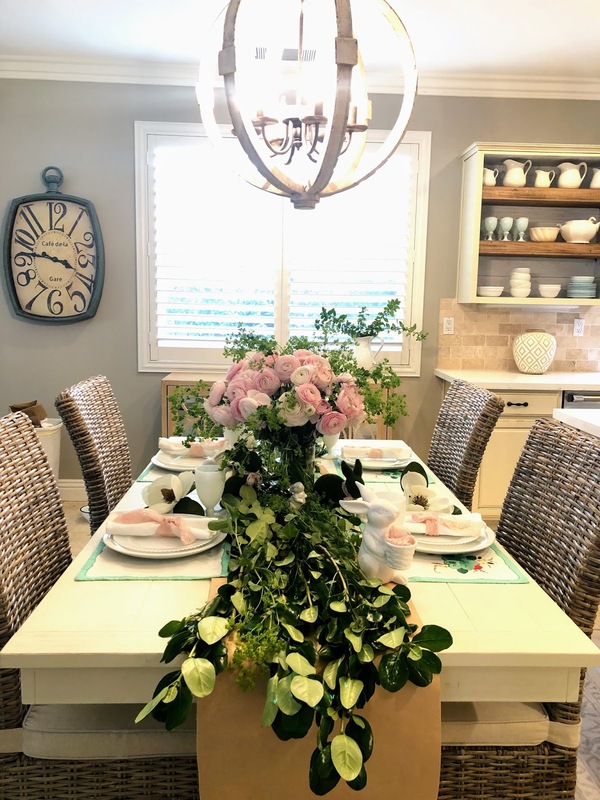 We really love how she has incorporated spring into her beautiful home! So many beautiful ideas! Teri and I live in Southern California and it's been raining A LOT! You know what that means? When it rains.....everything gets so green and flowers are blooming everywhere! 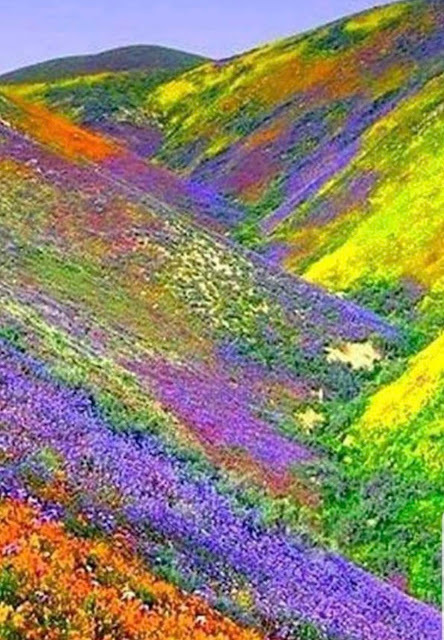 We live right where all of the poppies are blooming they call it the "super bloom." With this poppy super bloom, traffic is a nightmare because everyone wants to come and get pictures with the poppies. It really is an amazing site to see! Well worth the drive and traffic. How can this picture be real you say? Well, it is real! My friend took this picture right outside of Bakersfield, CA a week or so ago. LOVE these beautiful colors! Spring has sprung here in Southern California not only on the outside, but in OUR HOMES TOO! So how can you bring a little spring into your homes? We have some easy things you can do. 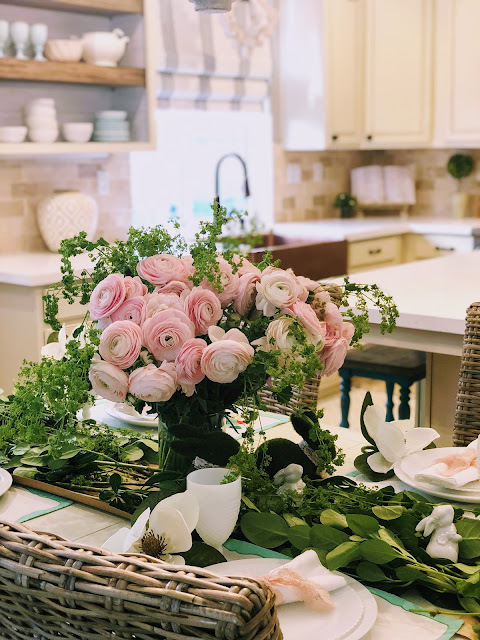 When you are adding those spring touches to your home, try to keep surfaces clear of clutter such as countertops and tables, so that the flowers and other spring accessories are not fighting with other things out of place......get rid of the clutter! Clearing surfaces of unwanted items is more pleasing to the eye. You will feel like you have done a little spring cleaning! Shop around your own home before going out and buying new things. It saves money and you aren't adding more stuff to your stash.We all have to store things away when the season ends. Finding space is always a challenge, so make sure if you do buy things for the season ask yourself, do I love this and is this something that I can use next year as well? This will help when you are out shopping to avoid spontaneous purchases. 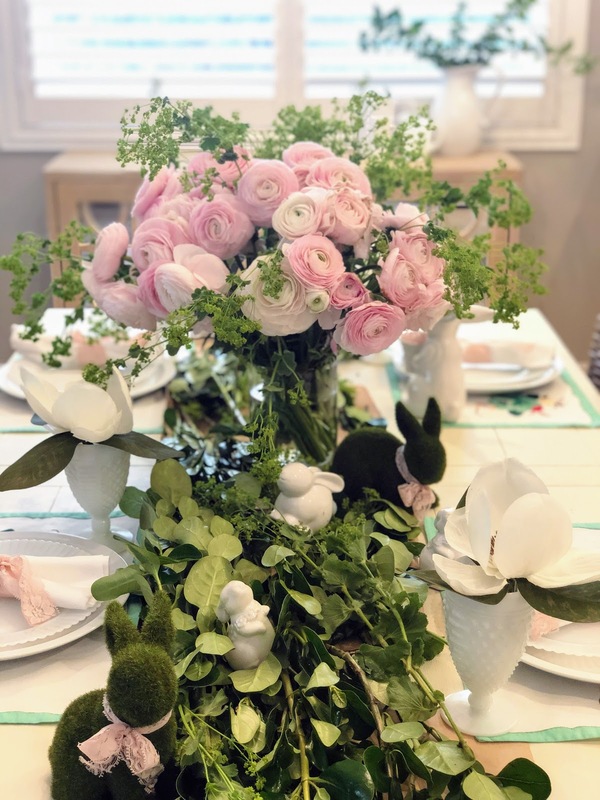 Have fun with your spring decor! Don't be afraid to add a little color in your home. You can do this by incorporating fun pillows, a colorful candle that also smells good and faux or real flowers bring that pop of color for spring! If you buy pillows, make sure you can take the covers off to store when the season ends. 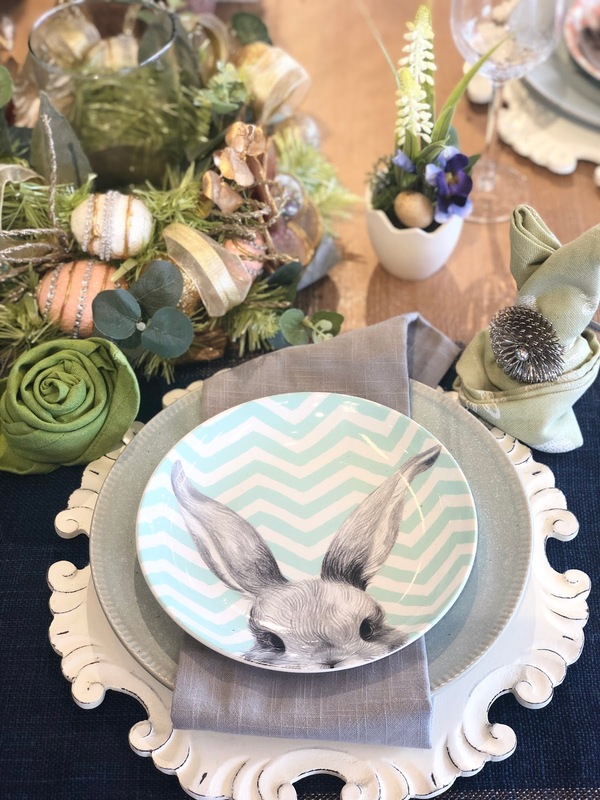 Set your table with a fun and fresh tablescape! My mother-in-law always has a set table when we visit and it really brings beauty into her home. It's simple to do and FUN! 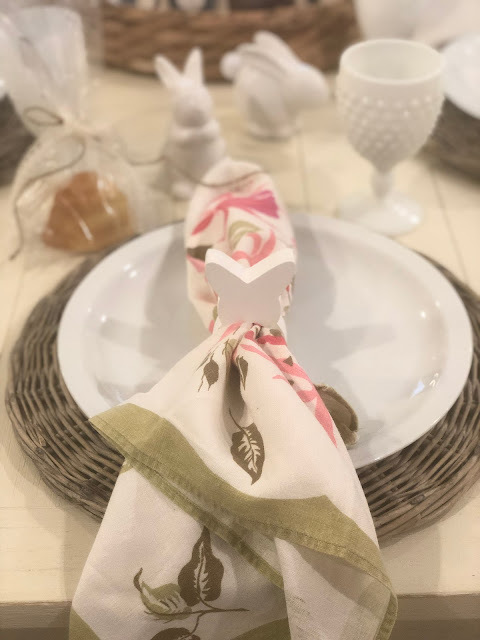 Start with some place mats and add things you LOVE to the table like different colored dishes, glasses, elements from outside like leaves or branches, and of course an amazing centerpiece! You may want to try different ideas with the napkins such as making roses out of them, (see our 4th pic below of a rose that was made from a green napkin). Another idea is to tie the napkins with colored ribbons or lace. DIY something amazing for a table centerpiece. Pinterest has some incredible ideas for DIY. Get out of your comfort zone and CREATE! 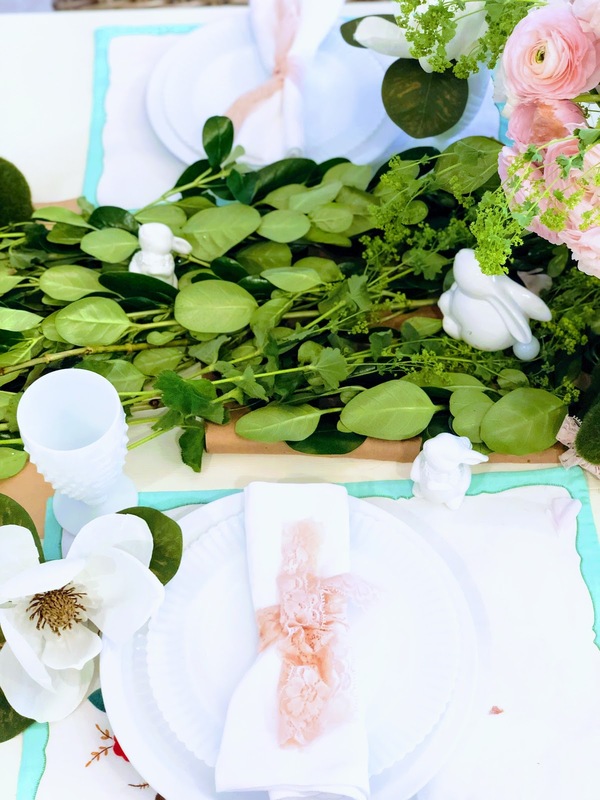 We have created some simple and fun spring tables below. WHERE TO GET YOUR FLOWERS! Our favorite place to get flowers is Petaldriven.com They are on Instagram @petaldriven They have thousands of flowers to choose from and ship very fast. They also have flower kits you can purchase if you are having a special event. In the kits you will find everything you need to make centerpieces for your special occasion! Petaldriven flowers are beautiful and they last forever! Check them out because we know you will LOVE them like we do! THANKS FOR STOPPING BY! PLEASE LEAVE US A COMMENT AND TELL US WHAT YOU THINK! 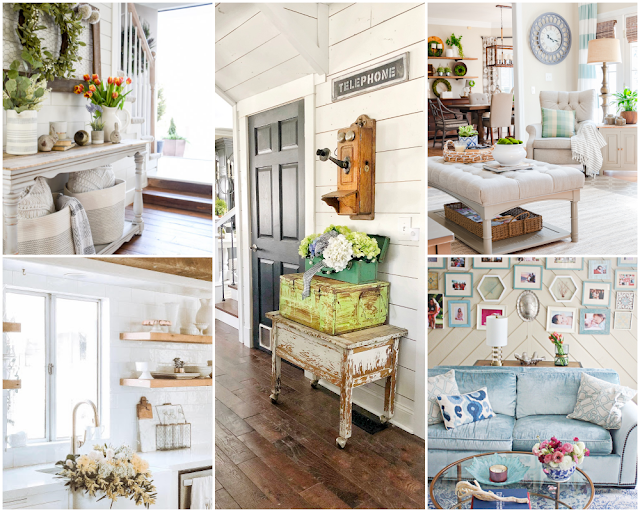 Be sure to check out Sarah @sarahsofiaproductions and her amazing spring home! You will not want to miss it! So much beauty in one place!